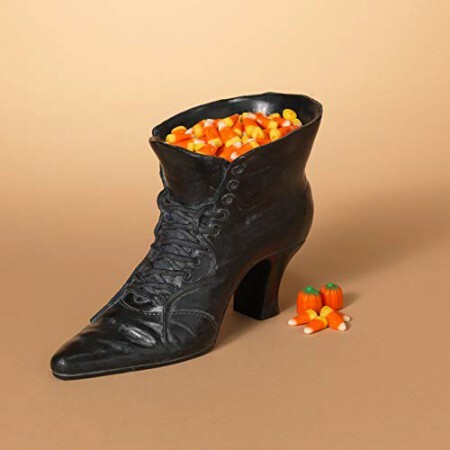 Greet trick or treaters this Halloween with our vintage retro witch shoe candy bowl! Each beautifully crafted candy dish features a Victorian-style high heel witch boot. These candy bowls are perfect for your office desk, and work just as great as a whimsical decoration for your Halloween party These have such great style that you'll want to leave them out throughout the fall!